Sometimes it's nice to switch things up a bit, don't you think? While I love using nice hardwood or quality plywood (Have you seen the gorgeous cherry plywood Iâ€™m using on my built-in- library! ðŸ˜�), every now and then it's fun to go basic. And that's what I did with this project. I built a super sturdy, cheap bookcase using four 8 ft 2x6s, and interlocking joinery. It's really the perfect weekend project, or beginner project since you don't need a lot of tools, in fact - you can make this entire build with simply a jigsaw. 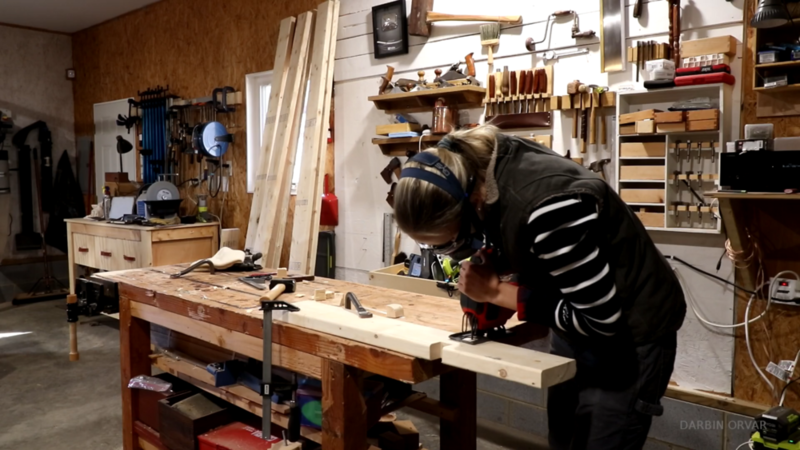 Another thing that I really like about this project is the fact that it is so affordable - a 2x6 costs around $5, and for this project you needs four boards. Or perhaps you should buy five, that way if you mess up, you can simply start over, and itâ€™s really not a big deal. Lately Iâ€™ve been fascinated by the concept of oversized joinery, so I figured it would be fun to try out making joinery that looks like box joints, however on a grander scale. So thatâ€™s what I did - nothing fancy, nothing complicated, however the end result looks rather interesting I think! Next, mark out all the cuts on ALL sides of the boards. 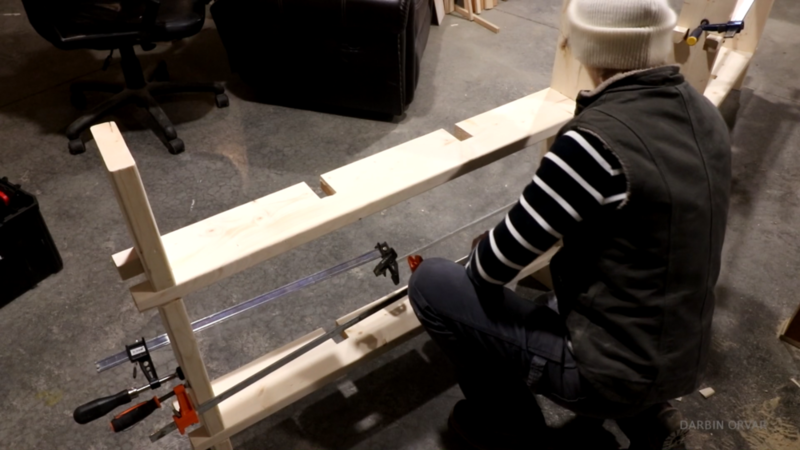 You can combine two clamps to make a super long clamp if you want to ensure that the wood goes together nicely. Don't over-clamp however, or you might twist the wood. Then place the two glued-up sections next to each other and glue in the connecting pieces. Use clamps if you have to. Start with one side, then flip the bookcase over and add the other two. 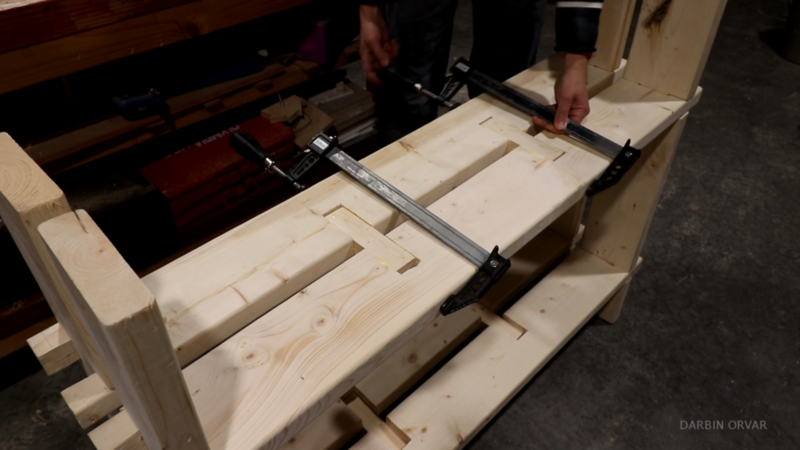 If the wood seems a little out of alignment, simply use the clamps to force it in place. Remember, this is framing lumber, so some twists and weirdness is to be expected. Of course, make sure to watch the video for the complete build!